Our shop has accessories, apparel and components for every need and situation. Stop by and pick up one of our shop jerseys or a shop tee to remember your trip. 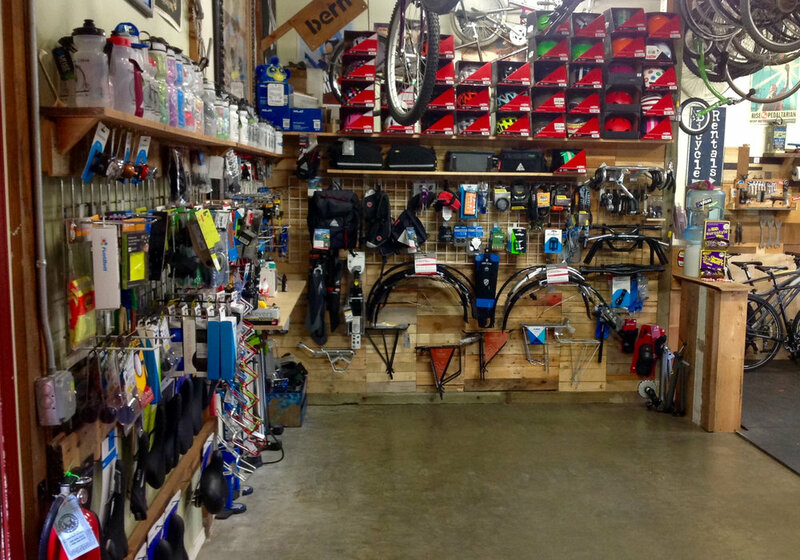 We sell Kona, Surly, All City, Soma, Colony BMX and Torker bikes, available by special order. We also have a nice collection of used bikes for sale and our rental bikes go on sale in September each year. We sell electric bikes and electric kits. We buy, sell and trade bikes. Consignment is available, as well as layaway. Check with us to find out more! We sell two different styles of electric bike kits to convert your existing bike to a zippy electric-assist machine. We have partnered with Bike Swift and Hill Topper to bring you the best e-bike conversions available.